jobs.lu is a generalist job board for Luxembourg. jobs.lu is the benchmark in Luxembourg when it comes to high quality online recruitment and we will continue to develop ourselves further in order to meet our commitment: Recruitment Made Simple. 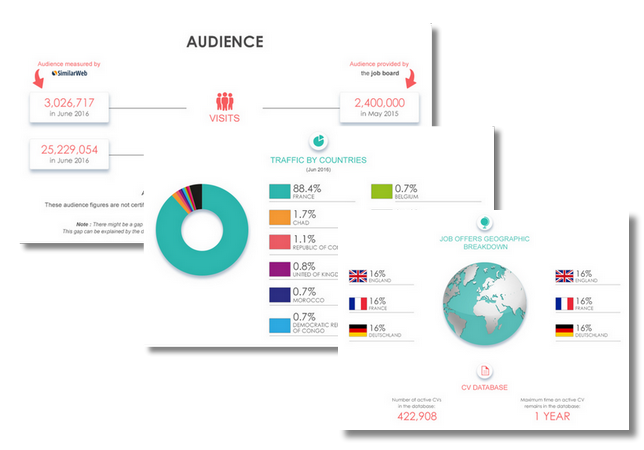 Summary: Launched in 2007 with a mission to simplify recruitment in Luxembourg, Jobs is a generalist job board. 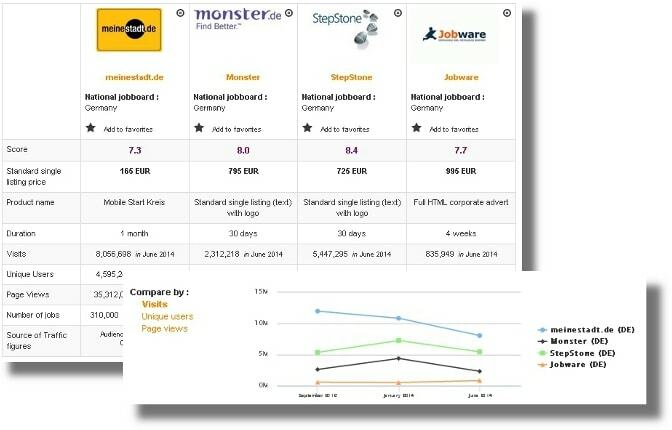 Since 2013, it has been part of StepStone GmbH, a division of Axel Springer, so it has a number of partner websites worldwide. On social media, there are 784 followers on Twitter (nothing new since last year), 2 683 on LinkedIn and 12 557 on Facebook. According to SimilarWeb, 313 130 visits are recorded every month, but only a quarter of them actually come from Luxembourg. Design: The job board focuses on the job search. The search engine (category, location and keywords) appears above a list of categories, locations and featured jobs. You can choose to view only Germany, only French or only English speaking jobs. In the job listing, the offers appear in a single line, indicating the publication date, the job title, the company name and location. Offers are sorted by relevant or date. Instead of the usual filters on the side of the screen, Jobs LU has different boxes to tick: employer, agency, part-time, fulltime and different contracts. In the company listing, companies appear in a grid, which displays the logo, name and number of current job offers. They are listed in alphabetical order. The job board objective: Jobs aims to improve recruitment in Luxembourg and provides jobseekers from neighbouring countries with a convenient place to find work. Recruiter observations: To publish an advert, you must send an e-mail to the team. Jobseeker observations: To apply to job offers, you need an account (even if you are redirected). The job offers: Currently, there are 1 538 job offers on the site. Most of them are in accounting and finance. There are some jobs abroad but most are in Luxembourg. Special features: Testimonials; the blog; following companies; chat support. Verdict: Even if Jobs belongs to a large group and has an easy-to-remember name, it feels like something is missing when you use it. If you would like to recruit in Luxembourg and attract foreign workers, it might not be a bad bet considering the visibility. Login here for FREE to unlock access to the traffic audience, content and pricing section for more information on jobs.lu. We concentrate on the acquisition of high quality traffic, having the right candidates at the right time on our site makes our success.